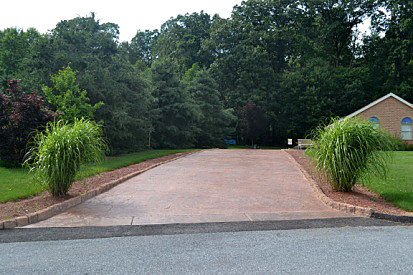 When it comes to driveway design and installation, homeowners want to make sure that they have a resilient and highly durable feature that will also be attractive and very easy to maintain. 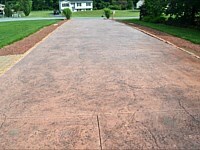 Since that are so many aspects that need to be kept in view while creating driveways, concrete becomes an excellent choice. 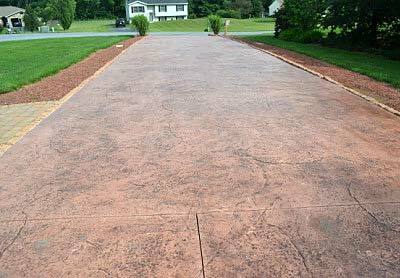 Many people wonder whether concrete is a good material option for driveway installations. The general perception is that concrete is dull and boring in appearance and that it won’t to do much for the curb appeal of their property. However, your driveway doesn't have to be grey concrete or blacktop. You can set the tone for what is to come with the rest of our outdoor living areas as soon as your guests reach your driveway. 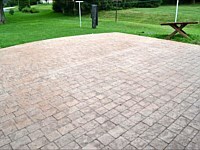 Doing your driveway in Stamped Concrete gives your property an extra boost in curb appeal! We at Dan-Tam Concrete are one of the most reputed companies in the stamped concrete field. We cater to clients in Dillsburg, PA and the surrounding areas. 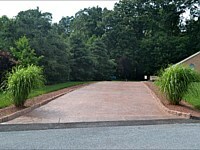 Creating superb concrete driveways is something we do with a great amount of expertise and attention to detail. We have been operating in this industry for almost 30 years and have the skills, resources and the knowledge required to provide outstanding residential concrete driveway services to our clients. In this time, we have handled driveway concreting on large and small properties. We go the extra mile to provide our clients with customized services and personalized attention. Our dedication to our work, commitment to quality and cost-effective solutions set us apart from many other stamped concrete companies in the region. Only high grade materials are used in the work, ensuring that your new concrete driveway would be able to weather the elements and provide a safe surface in your outdoor spaces. Using concrete in a creative manner requires skill and expertise and we have both of these in good measure. We understand that as a property owner you want the outdoor spaces of your home to be as stunning and unique as the indoors. And since the driveway is such an important aspect of your home, we make sure that it is designed to catch attention. The stamped concrete patterns that we suggest will blend in beautifully with various other features installed on your property. 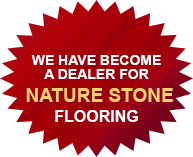 This means your new stamped concrete driveway will provide a very welcoming look to your home. 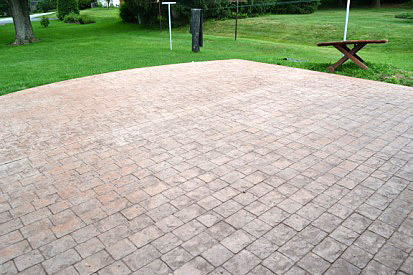 If you want custom stamped concrete driveway solutions, feel free to contact Dan-Tam Concrete at (717) 528-7133. You can also send us your queries and project specifications via this Contact Us form and we will revert shortly to have detailed discussions about your requirements.